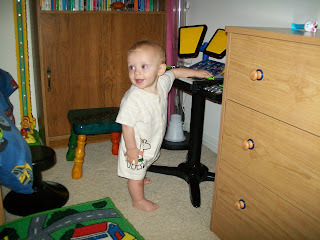 A cute picture of Brady standing by Dawson's piano, looking back at Dawson and smiling. Wow! Such a big boy already! !